Since 1964, the Children’s Hospital of Orange County (CHOC) has provided loving care to children. 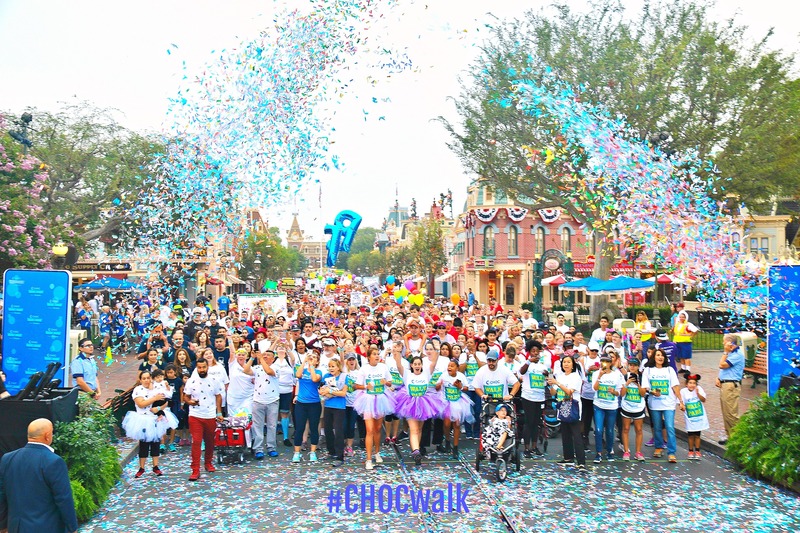 Since 1990, CHOC has partnered with Disneyland in putting on the “Walk in the Park,” a 5k fundraising walk which remains the largest pediatric fundraiser in the nation. Since the beginning of the partnership, Disneyland and CHOC have raised over $32,000,000 for CHOC programs and services. Registration for the 2018 CHOC Walk in the Park on August 26 is now open, and you won’t find a better way to give to this outstanding institution. You can register individually, or create a team to help support the efforts of CHOC. More information can be found at www.chocwalk.org with real-time updates at their Facebook and Twitter accounts. If you’re not able to attend CHOC Walk, you can also support people walking! I will be walking on Team Angelina, you can contribute to me and my daughter walking here. Also coming up on August 25th is the CHOC Rock’N Luau, which will be a day of family fun at Splitsville Luxury Lanes at Downtown Disney Anaheim. There will be bowling, food, hula lessons and more! You can learn more about the luau and register for tickets here. Lastly, you can help contribute to Team Angelina and CHOC Walk if you’re staying at Howard Johnson Anaheim between August 13th-September 17th! If you stay at Howard Johnson during those dates, be sure to call the reservations number at 800-422-4228 Mon-Fri 9am-5pm and mention Team Angelina or Geneveivenoodle!